Today, this newspaper and our sister papers across the county, are calling on the leader of Northamptonshire County Council to resign. The authority is facing the worst financial crisis in its history. The Conservative administration at County Hall blame years of underfunding from central government. The county’s seven Tory MPs and half of the Conservative backbenchers on the county council disagree. 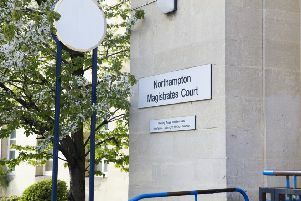 They say it is a result of financial mismanagment, and other councils facing similar funding challenges are not in the same situation as Northants. These are not politicians of different persuasions sniping at each other to score political points. They are all from the same party. An independent inspector is currently walking the corridors of the new, £53 million headquarters, One Angel Square, trying to get to the bottom of why our county council is facing the prospect of not balancing its books this year. Everyone is awaiting his findings with interest. The financial performance of the county council is not the only reason we believe the leader of Northamptonshire County Council should resign. Last year, the findings of an independent peer review on the financial management of the council was highly critical of how the cabinet and some officers were handling the situation. Those findings were not made public by the council. Later, a leaked email sent by Councillor Smith to her Conservative colleagues revealed that the party had timed the controversial announcements over cuts to library services, trading standards and highways to avoid damaging the party’s chances in the 2019 Northampton Borough Council elections. A shocking revelation and one that angered many campaigners that they were the victims of political games. Equally concerning is that the county’s MPs and the backbenchers say that they were left in the dark as to the seriousness of the financial situation in Parliament. On Tuesday, in the Commons, Wellingborough MP, Peter Bone described the cabinet as a “clique”. The county council is in financial meltdown and the leadership has lost the faith, and respect, of the county’s MPs and half of the members of the Conservative group on the council. Change has to be made, responsibility has to be taken and it has to start at the top.